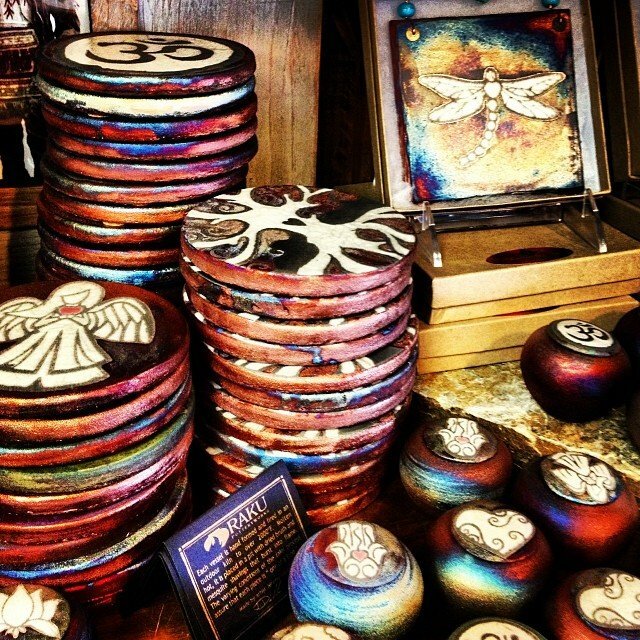 We love our Locally made Raku pottery! perfect little gifts for everyone on your list! #dreamjar #dreamcatcher hanging tiles, #angels, plates with so many mystical symbols on them!